If you prefer a wood stove over a TV, horses instead of Wi-Fi and a slow pace instead of traffic then you’re just the right fit for a stay at Big Bar Guest Ranch. 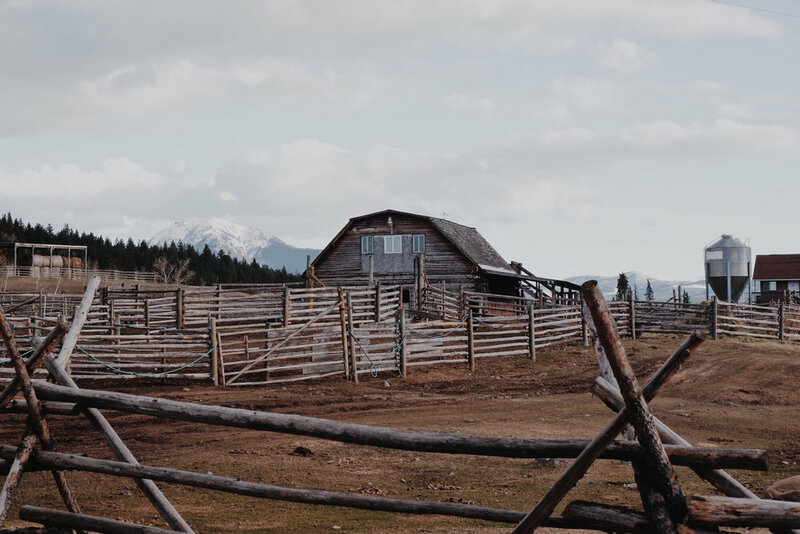 Nestled between the Marble Mountains and the Fraser River - about an hours drive from any amenities or city limits - it’s easy to feel reconnected to the remote nature and century old ranching history. Think coyotes yipping at sunset, campfires after days spent in the saddle and some of the best stars you’ll ever see. Offering stays in rustic log cabins, some dating back to 1936, this historic ranch is the perfect retreat for simplicity and adventure. Should you opt to stay in the hotel units, you’ll be nestled closer to the hosts, wranglers and ranch dogs - all who instantly feel like family. Beau, resident ranch dog with the sweetest heart. Cabin interiors - all equipped with a wood stove for warmth. We’ll start with something obvious and slightly scientific; mountain air allows you to breathe in oxygen that is mostly free of gasses or air pollution. The fresh air can help respiratory problems, never mind being better for your overall health. Caution; This clean crisp air is addicting - especially if mixed with the smoke of a good campfire. Most often when you’re in the mountains you do some form of physical activity. This combined with (on average) lower temperatures in the mountains can help you sleep better. As your body works harder, you will be rewarded with a deep ‘post-mountain’ sleep; whether at home or under the stars any true outdoorsman knows what we’re talking about. This one is truest to us; mountain air gives us a sense of purpose. Whether it’s the air or the surroundings or most likely a combination of both. We feel purpose in the mountains. And it’s not something specific; when we’re in the mountains we feel a strong, general life purpose. A night in the mountains offers a type of relaxation no spa could ever offer. That overwhelming sense of peace allows us to breath better, heal any stress or anxiety we may have been feeling. Rule of thumb; the longer you stay in the mountains, the less stress you will feel. Mountains are notorious for pushing us out of our comfort zones, and we love it. Most mountain activities - anything from something as simple as backcountry camping or as intense as climbing a new range - can help us push ourselves and set new limits, based on our experience. For example. backcountry sleeping can be intimidating for someone who has never spent a night in the wilderness. But with the correct levels of preparedness achieving these things we’ve never done can help fill us with accomplishment and feelings of intense capability - feelings that can trickle into other aspects of our lives. 6. Mountain air comes free of distractions; there’s no pollution (yes we mentioned that already). We mean no pollution in the sense of no noise, no cell service, no wifi, no tv, no movies. When we’re void of all these technological distractions, it seems that suddenly the day is so much longer, that we can slow down and take time to enjoy the simplest things that in ‘ordinary’ circumstances we’d rush through or pay no attention to at all - things like slowly brewing your coffee and being mindful of every sip, studying the vistas and surroundings around you and truly taking the time to appreciate the beauty nature is offering us, things like talking to your company and building deeper connections instead of zoning out in front of the TV or our cell phones. 7. Last, and probably most important to us; Mountain air reminds us we’re far out of the city. It’s simple, but effective. Overnight hiking is one of the best ways to integrate yourself with nature. Not only will you enjoy some of the benefits of hiking, but you’ll also allow yourself to unplug for several hours. When was the last time you thoroughly unplugged from technology for 48 hours? If you can’t remember, you’re not alone. Hiking tunes you into the most primal parts of your brain. The human body was created to live alongside nature—not in the modern world. You’ll learn how to navigate the forest, cook for yourself and entertain yourself without the use of modern technology. Spending time outdoors has plenty of health benefits too. In addition to reducing stress, spending time outdoors can help enhance your mood and help you sleep better. Yet, you’ll need a few pointers if you’re about to embark on your first overnight backpacking trip. One of the most important things to understand about hiking is: planning is everything. Planning is one of the best things you can do to ensure success on your hiking trip. The more you prepare for your trip, the more successful your trip will be. Your first hike should be planned when the weather conditions are expected to be mild (or at least, not so erratic). You don’t want to deal with drastic drops or rises in temperature for your first trip. It’s important to be prepared, but sometimes less is more when it comes to packing. Don’t pack everything. Many first-time hikers tend to pack all the modern comforts they think they’ll desire over the next day. Just remember that you’ll need to carry everything that you pack. You’ll want to lay out everything you plan to pack before you place anything in your pack. Take a good look at everything you’ll need to carry. You can go ahead and discard those four extra pairs of socks you just thought you wouldn’t be able to live without. It’s important to plan out your meals in advance, so you don’t find yourself burdened with too much (or worse—without enough food) over the course of your trip. Make sure to pack plenty of protein and carbs to keep you satisfied. Remember that you may have to pack your waste out, so don't bring lots of food in heavy containers such as tins. It's best to prepare meals in advance, and bring them in ziplock bags or buy freeze-dried meals that only require boiling water to cook. Although, don’t forget to have a little fun with your food! Try a new recipe for an old fan favorite like buttered popcorn marshmallow smores. Despite how much Google Maps has rocked your world, you’ll need to bring an old-school waterproof map. You’ll also need to know how to use it. Navigation skills are hugely important in the wilderness where cell phone batteries can die, or your GPS doesn't get a signal. It’s important to test out all of your equipment at home before your hike. You should break in your hiking boots before hitting the trail, so you don’t destroy your feet. Sometimes manufacturers forget to include all of the parts in products, and you don’t want to wait until you’re in the middle of the woods before realizing that you don’t have the main pole for your tent. Test your equipment in your backyard first. Hikers and backpackers these days swear by the three-layer system that will help keep you comfortable in (most) any weather. 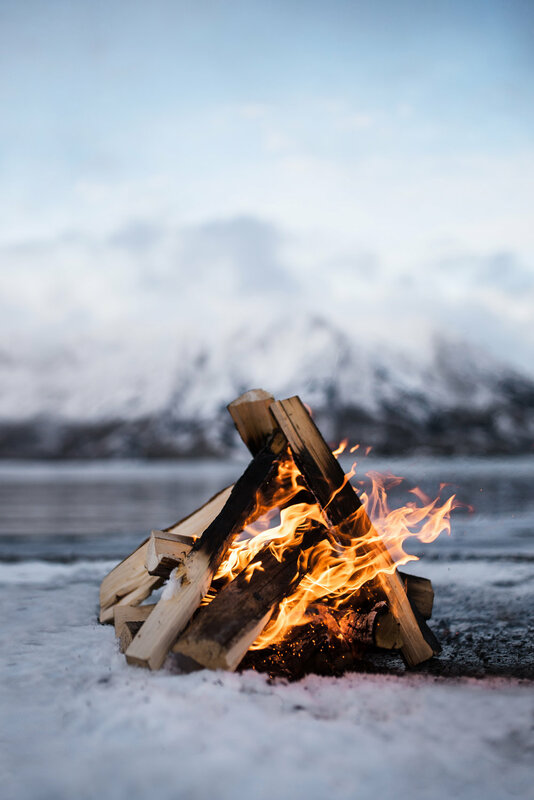 This involves a thin base layer, to wick away moisture, a middle insulating layer to keep you warm and then an outer shell layer to protect you from the wind and elements. Simply remove or add layers to suit the climate. Also, don't forget to bring accessories such as sun hats, sunglasses or cold weather gloves. You know the saying, “Take only photos, leave only memories?” Leave No Trace means that you leave nature the same as you found it. This means that everything you "pack in" should be "packed out" again. Don’t bother the wildlife, pick the flowers or camp on sites that aren’t already established by other campers. Lastly, you also want to ensure you have the appropriate permits before you step foot on the trail. Don’t assume that you don’t need a permit. Leading up to your trip double-check the weather forecast and consider rescheduling your trip if the weather won't be in your favor. If you still plan on heading out, make any final adjustments to your pack based on the likely (and worst case) weather forecast. Tip #9 - Panic Time, Leave One! Never hike without telling your friends and family where you’re going. Establish a panic time. This means that you tell your friends and family when you’re leaving, where you’re going, your exact route and when to call the authorities if you haven’t returned. As soon as you are back in your car (and have cell service), call your designated family members to let them know you’re okay. On your first trip, just keep it simple. You'll probably be doing a lot of new tasks for the first time such as map navigation, long strenuous hikes and setting up a campsite. Don't further add to the burden by planning to hike 15 miles a day or fit in lots of extra activities. The most important part of your hike is remembering to have plenty of fun. Enjoy yourself! Hopefully, you’re planning this trip because you already have a love of hiking. Don’t forget to have fun and relax! Article written for UP KNÖRTH by My Open Country. My Open Country is a campaign to try and get more people excited about the outdoors. Improve your wilderness adventures with their in-depth articles on hiking/backpacking skills, inspirational trip guides & awesome gear reviews. Ever wondered what 48 hours in the Yukon look like? Think cold, grey skies, snow-capped mountains, campfire and tea by a wood stove. 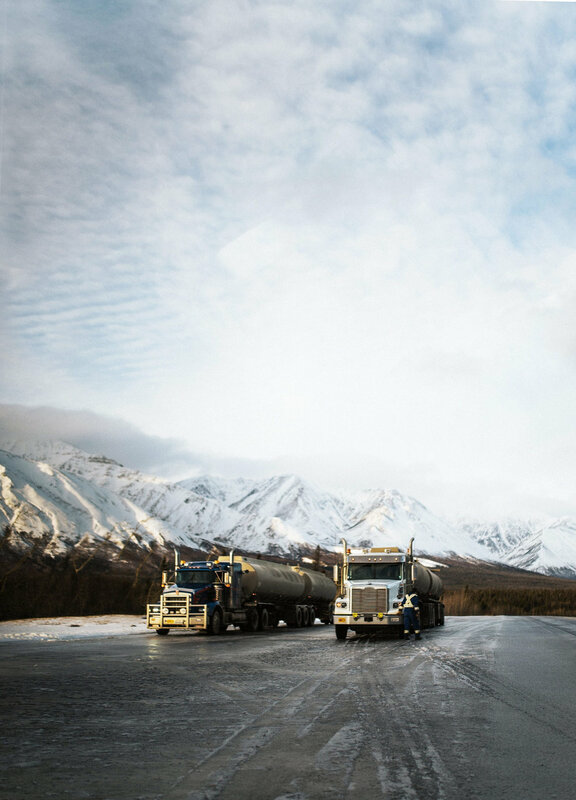 Some of our product made the journey with Hennygraphy and photographer Jong Sun Park on their 2 day, fully loaded trip of the Yukon. All photography credit to Hennygraphy. See more of the journey here. 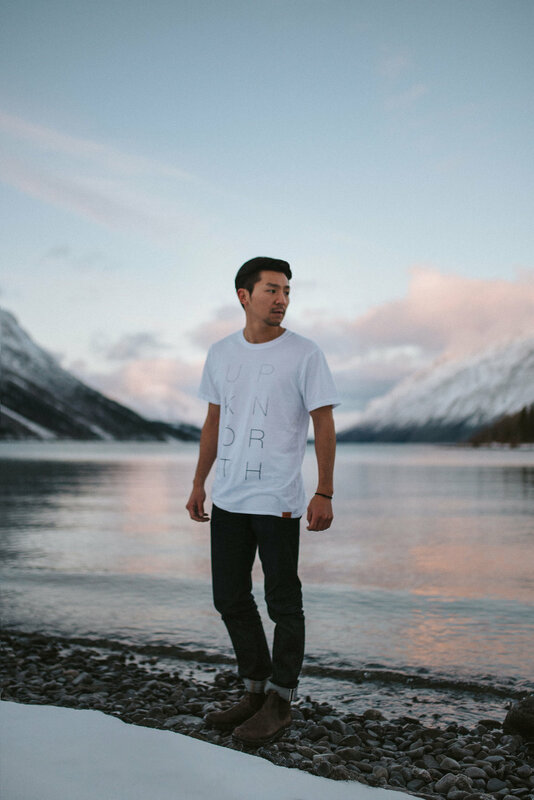 Shop our Up Knorth minimalist t-shirt here. Our women's Cabin Socks doing the trick up north. Shop them here. Arguably one of the most scenic hikes around. The 23km trail takes about 7 hours to complete, and passes vistas most of us can't even imagine to be real. Any photos you've seen of this place are no comparison to the real thing. Along the way you will past through Kinney lake, white horn and the valley of a thousand falls - overall, hoping you catch a clear day, you will see 16 glaciers in the remote backcountry. Stay safe, respect the trails and do your homework before you go. Tag and share your stories at @upknorth and #upknorth. Nestled 1,600m above Squamish, BC, Elfin Lakes is a mountain escape that equals no other. The mountain cabin holds a capacity of 33 bunks on the upper level, with ample space for cooking and dining on the level below. The 11km trail (one way) is accessible in both summer and winter months, and doesn't doesn't fall short when it comes to panoramic mountain views. Visit www.hennygraphy.com for the full set. Roaming Iceland, camping gear in tow. Shot by Christian McLeod. Allemansrätten - literally "everyman's right" or "freedom to roam" - is an inalienable commandment that guarantees public access to the country's land. At one point, most of Europe commonly embraced this concept, however today the right to roam has survived in it's purest form in only Estonia, Finland, Iceland, Norway and Sweden. Scouting for a camp spot over Lofoten, Norway. Shot by Marie Peyre. These rights of access open doors for remarkable exploring and unrestrained adventures. In several of the Nordic countries travellers are provided with the opportunity to hike across or camp on another's land, boat on someone else's water and even harvest wild edibles (wildflowers, mushrooms and nordic berries) off others' land. These concepts are very unlike North America, where camping is typically designated to certain areas, whether in the wilderness or not. And while this incredible concept will undoubtedly spark the travel bug, these rights do come with some responsibilities (and justly so); that is, an obligation to neither harm, disturb, litter nor damage any wildlife and crops. So for the traveler with a tent in tow, this equates to the right to camp anywhere you please, whenever you please, for free. Norway anyone? Aurora tent views. By Georg Krewenk. Camping at Lake Langisjór. Shot by Christopher Lund. Witnessing the aurora borealis is an unforgettable experience. Like tulle curtains caught by the breeze, like rolling smoke or like ribbons across the sky, in an unearthly, electric green, often with hints of pink and violet; the northern lights, the aurora borealis, are faint, translucent and illusive. Occasionally, the whole sky explodes in a corona of green, pink, violet and white, like firework, organ pipes or opening flowers. Spectators pinch their arm in disbelief, and photographs can in no way do the lights justice. The northern lights are created by loaded particles from the sun hitting the outer layers of the atmosphere some 60mi/100km above us. This is common in the so-called aurora belt around the planet. Northern Norway is situated in the middle of this belt, but whereas most areas in the aurora belt consist of freezing tundra and ice shelves, Northern Norway is easily accessible and has moderate winter temperatures. Hence the conditions to spot the best northern lights are excellent. Aurora is a diva – you never know when she is in the mood for an appearance. 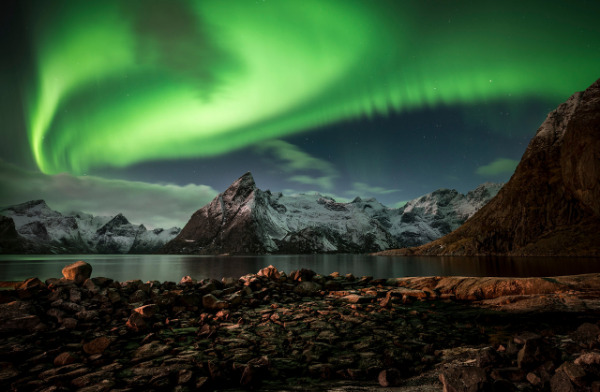 In Northern Norway, northern lights occur in up to 90% of every clear night in the period from early September to early April. Most northern lights occur in the time span from 6pm to slightly after midnight, with an absolute peak at around 10-11pm. Basically, the area north of the Arctic Circle is prime aurora territory. The various destinations in the High North have a distinct personality, and are well worth exploring.